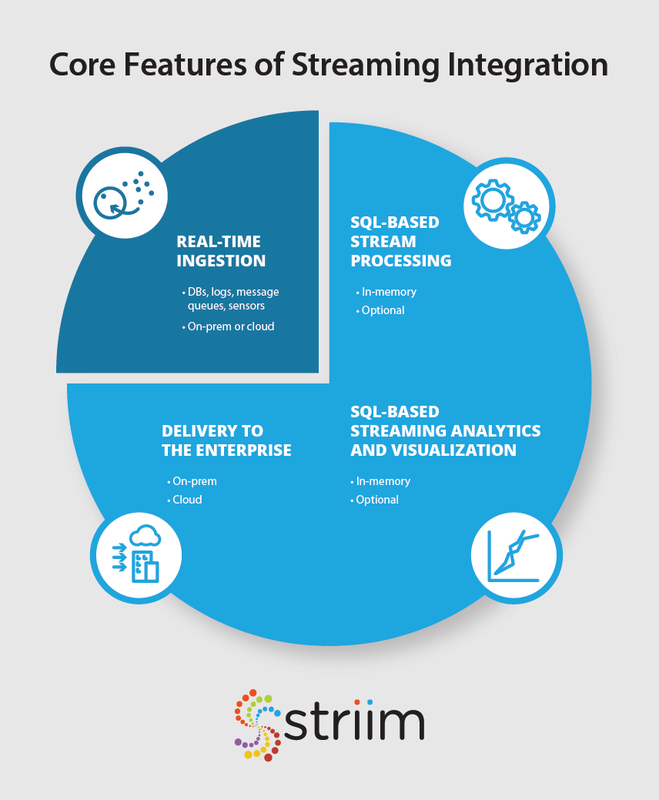 Striim offers several capabilities that go beyond real-time ingestion, delivering an enterprise-grade real-time integration solution that includes SQL-based stream processing and analytics capabilities – reliability with exactly-once processing (E1P) – and real-time visualization of both integration processes and live, streaming data. When it comes to analytical processing, it’s rare that raw source data is what you want delivered “as is” to your target systems. More commonly, you need a data pipeline that starts with ingestion, and then enables you to do a number of things to the data in-flight before delivery to the target. These “things” include filtering, aggregating, transforming, enriching, masking, and correlating the data. While real-time ingestion from diverse sources is the first critical step to collect data in time, it leaves quite a bit of work before that data is usable for analytical or transactional processing. The Striim platform enables the complete data flow. It offers a rich set of readers and parsers to enable continuous real-time data ingestion from a wide variety of sources including databases (using low-impact change data capture (CDC) from relational sources), log files, sensors, and message queues – on-prem or in the cloud. It supports different types of data such as JSON, XML, delimited, binary, free text, and change records. Performs stream processing using in-memory computing to filter, aggregate, transform, mask and enrich data in motion. 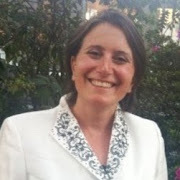 Striim can join multiple streams together and perform correlation and other analytics while data is in-flight as well. Uses SQL-based language for stream processing and analytics, enabling a range of users, from business analysts to IT professionals, to easily build and modify their applications to align with changing business requirements. 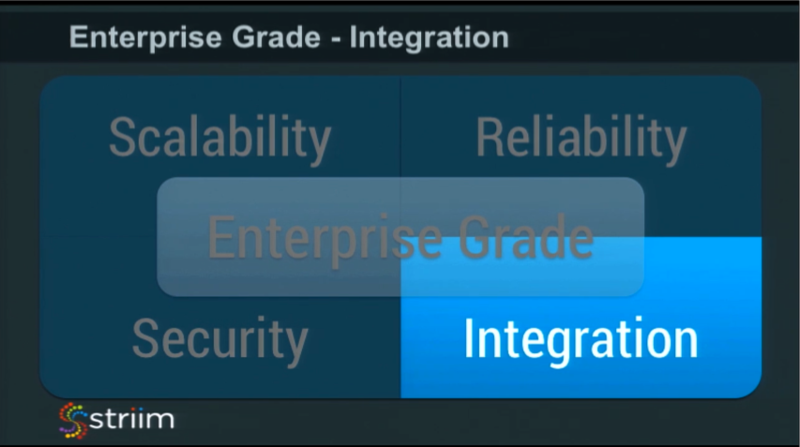 Enables reliability with out-of-the box, exactly-once-processing (E1P) even when working with complicated time windows. Without having to code, Striim offers E1P from source to target, guaranteeing that all data is generated and processed once, and only once, even in the case of failure and recovery. 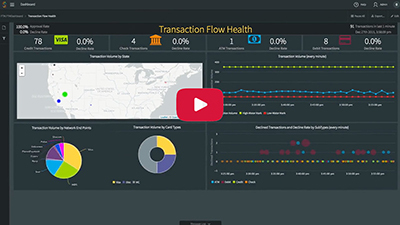 Offers customizable visualization so users can understand the status of their ingestion, processing, and delivery steps in the data flow. Through easy-to-build dashboards, users can view a range of activities, such as the end-to-end latency of their data, unusual data volumes, and the real time health of their data pipelines. 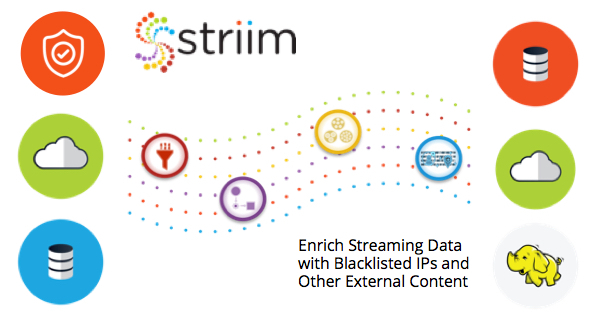 Striim also enables users to see the content of the data streams and get alerts on time-sensitive business events such as a suspicious transaction or a sudden drop in sales volumes. With Striim’s end-to-end offering, enterprise companies can adopt a scalable, reliable, and secure platform that goes beyond real-time ingestion. 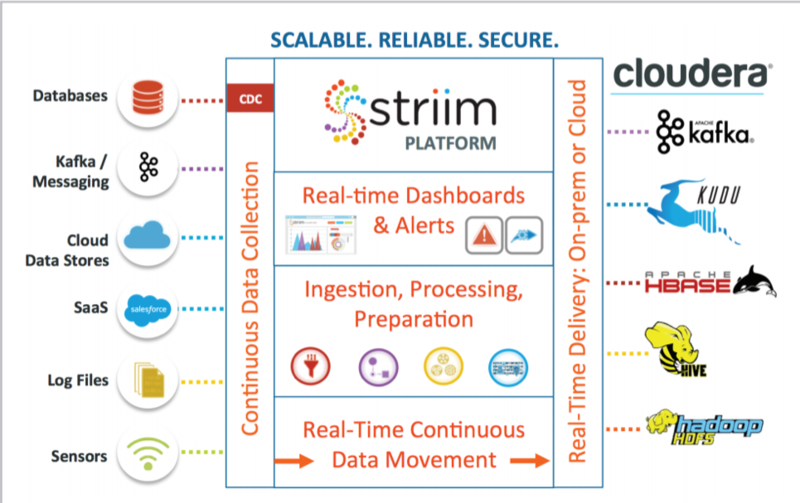 If you are interested in learning more about Striim’s real-time integration capabilities, visit Striim’s Real-Time Data Integration solution page, schedule a demo, or download the platform for a more hands-on experience.